While most of the country may not be thinking about anything to do with their air conditioning systems at this time of year when you live in California, air conditioning is a reality no matter what the calendar may tell you. There can be days any time of the year where you need to run your air conditioning, which is why you want to make sure it is always in the best condition possible and operating at its best. If there seems to be something wrong with your air conditioning, it is always a good idea to get it checked right away. The AC repair in Burbank that we at American Clean Air and Heating can supply for you can help you to save a great deal of money in the long run. Even the smallest repairs and maintenance that we can perform for you can end up saving you a great deal of money. Very often, just performing simple maintenance on your system can help to keep it running well for you. One of our service technicians can come out to your location and go over your air conditioning system to check and make sure there are no worn belts and hoses, no potential leaks, or any other problems that may be of concern to you. Anything noticed early on can get fixed right away, saving you a lot of money in what might have been a costly and lengthy repair in the future. The AC repair in Burbank that we can perform for you will help to save you money now and in the future. Getting your system repaired before it develops into a bigger problem, saving you money on costly repairs in the future. Getting regular maintenance performed that may involve certain repairs can help to keep your system running at its best. When your AC system is performing well, it is going to use less energy, saving you money on your utility bills each month. This can add up to significant savings over the course of the year. 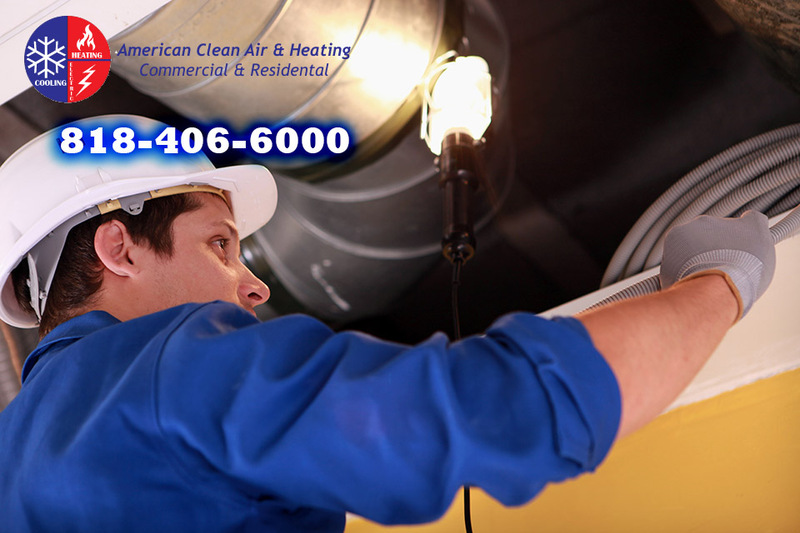 If you are in need of AC repair in Burbank for would just like to have your system check and some regular maintenance performed, take the time to call us at American Clean Air and Heating at 818-406-6000. We can arrange an appointment for you right over the phone and have one of our technicians come out to work on your system, get you running perfectly and allow you to save money.